"Any time a citizen gets information about a crime or a national security threat it's appropriate to convey it to the FBI. ... It should be passed to the FBI for them to use it or not as they feel appropriate." The comments, from a closed-door session with both Republican and Democratic House members several months ago and released by Republicans Friday, mark the first time the public has been able to hear from Ohr himself. Republicans have long accused Ohr of improperly acting as a conduit between the FBI and former British spy Christopher Steele, who in the months before and after the 2016 presidential election was hearing from foreign sources that Trump and some of his associates may have compromised by Russians. Steele had been hired by the firm Fusion GPS to conduct opposition research on Trump, and the work was being paid for by Democrats tied to Hillary Clinton’s campaign. President Donald Trump speaks during a signing ceremony for an executive order on a "National Roadmap to Empower Veterans and End Veteran Suicide," in the Roosevelt Room of the White House, March 5, 2019. "I think Bruce Ohr is a disgrace," Trump said in front of the White House last year. "For him to be in the Justice Department, and to be doing what he did, that is a disgrace." But Ohr insisted to lawmakers that the actions he took were intended to steer clear of the political bias he is now being accused of perpetuating. The information Steele first relayed to him in July 2016 was "scary" and "inflammatory," Ohr said, but he didn’t relay it to his supervisors at the time in the deputy attorney general's office. 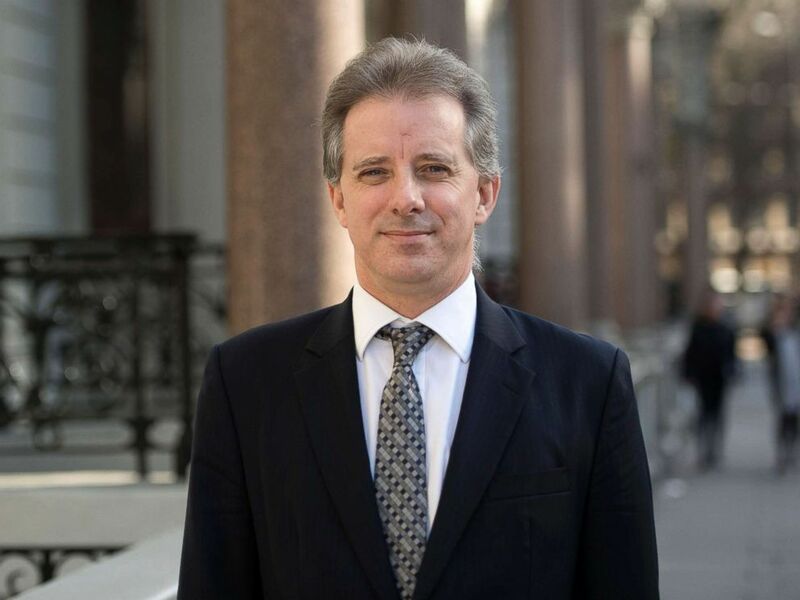 Christopher Steele, the former MI6 agent who set-up Orbis Business Intelligence and compiled a dossier on Donald Trump, in London where he has spoken to the media for the first time. Instead, he shared it with career officials at the FBI "who understood and dealt with these kinds of Russian matters," he told lawmakers. "I wanted to keep it in career channels and not make it political or not have it treated in a political way." Ohr said it's something he had done before. "I had been working in this area for many years, so many people ... would tell me things, I would pass it to the FBI," he said. As a Russia specialist himself, Ohr first met Steele a decade earlier and had come to know and trust Steele's work, Ohr said. Then in July 2016, a week after news reports began wondering whether Russia was behind the theft and release of thousands of private emails from the Democratic National Committee, Steele met with Ohr and Ohr’s wife, Nellie, for breakfast at a Washington, D.C., hotel, according to Ohr's testimony. Nellie Ohr, a Russia expert herself, had been working for Fusion GPS for several months, culling online articles and other public documents for information related to business dealings in Russia. She never spoke a word while Steele told Ohr of the allegations he was hearing: The Russians "had Donald Trump over a barrel," and former Trump adviser Carter Page "had met with certain high-level Russian officials when he was in Moscow," as Ohr recounted to lawmakers. "I was very concerned when I got the information," Ohr said. "It seemed to have very serious national security implications." So he went to the FBI to meet with two people he had worked with in the past: then-deputy director Andrew McCabe and then-FBI attorney Lisa Page, according to his testimony. He provided them with what he heard from Steele, and they introduced him to senior counterintelligence agent Peter Strzok, a career agent who at the time was handling the investigation already underway inside the FBI looking at possible ties between Russian operatives and several Trump associates. In the weeks that followed, Ohr met with Strzok, Page and three prosecutors from the Justice Department. Strzok, Page and two of the prosecutors would later join Special Counsel Robert Mueller's team. "My job, as I saw it, was just to get the information over there and let them figure it out," Ohr said. Meanwhile, in August 2016, Ohr began to hear about Steele’s findings not just from Steele but also from the founder of Fusion GPS, Glenn Simpson, whom – like Steele – Ohr had known for several years. Simpson spoke of "communications back and forth between the Russian Government and the Trump campaign," Ohr recalled. "I tried to get Glenn Simpson to speak with the [FBI]," Ohr testified. "[But] he was willing to meet with me and give me some information. So I took the information and passed it to the FBI." Ohr said that when he shared the information with the FBI, he "tried to be clear that this is source information" – the same type of unverified information involved in the start of most FBI investigations. And hoping to make them "aware of any possible bias," he told the FBI that the information was coming from someone hired by the Clinton campaign who also employed his wife, Ohr said. "I don't know how reliable it is," he recalled telling the FBI of the information he was sharing. "You're going to have to check it out and be aware." In September 2016, just weeks before Election Day, Ohr met Steele again in Washington, D.C., to receive "some additional information," he told lawmakers. Around that time, Steele was becoming "very alarmed by this information" and "did not want Donald Trump to win," Ohr testified. Also around that time, the written reports compiled by Steele – now collectively known as "the dossier" – first made their way to Strzok, according to Strzok's congressional testimony. Steele had helped the FBI investigate and build other cases in previous years, so he was viewed as a known and credible source of information, the FBI said in court documents. A month after Strzok first received Steele's reports, information from them was included in an application secretly submitted by the FBI to the Foreign Intelligence Surveillance Court, seeking to monitor Carter Page’s communications. Page has repeatedly denied any wrongdoing. The application was approved. But in the days afterward, the FBI cut off its relationship with Steele for talking to a reporter about his work. So, it was Ohr who continued to feed Steele's information to the FBI. "Chris Steele would continue to call at various times, and I would listen to what he had to say, and I would pass it to the FBI," Ohr said. In December 2016, Ohr met Simpson once more, and Simpson handed Ohr a thumb drive, which Ohr then gave to the FBI. "I suspected it was the dossier," Ohr recalled. "I had heard there was such a thing as a dossier, but I hadn't seen it. So he gives me a thumb drive. I assumed this was the dossier." Ohr said he didn't know that Steele himself had already given a copy of the dossier to the FBI and that Strzok received it three months earlier. Steele's information would be included in three more applications to continue surveillance of Page through September 2017. 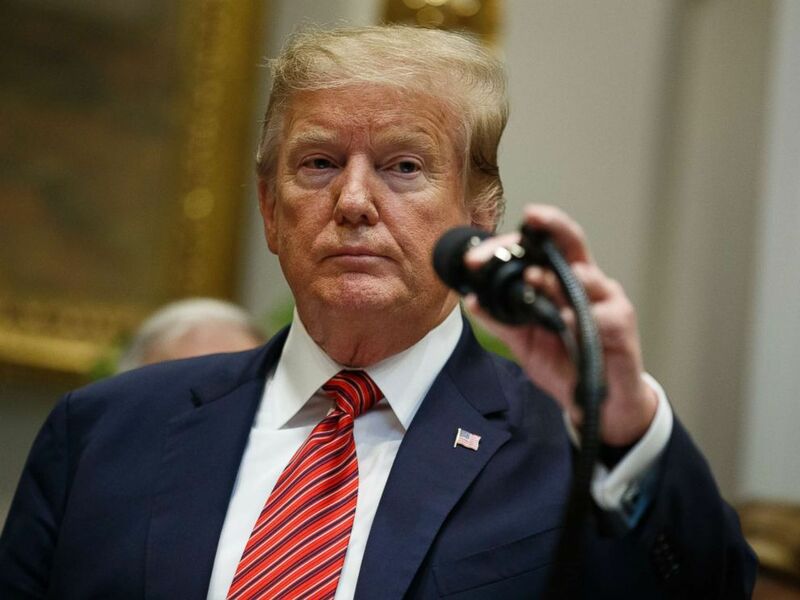 Trump has repeatedly blasted what he called the "fake dirty dossier," insisting last year it "was responsible for starting the totally conflicted and discredited Mueller Witch Hunt." The transcript of Ohr's testimony became public on Friday because the top Republican on the House Judiciary Committee, Rep. Doug Collins, R-Georgia, released it. Speaking with reporters afterward, Collins said Ohr "should not have" gotten involved in the Russia matter. But as Ohr described it, "I didn't have any input or work on those investigations. I'm just providing information." Strzok was later fired from the FBI and Page left on her own, after internal investigators uncovered a massive cache of text messages over several months showing intense disdain for Trump. ABC News' Luke Barr and Ben Siegel contributed to this report.